As California enters the fourth year of a crippling drought, Peter Douglas of the state’s Institute of Technology and his colleagues publish a study pinpointing the devastating effects of climate change on ancient Maya civilization, despite attempts to adapt to it. 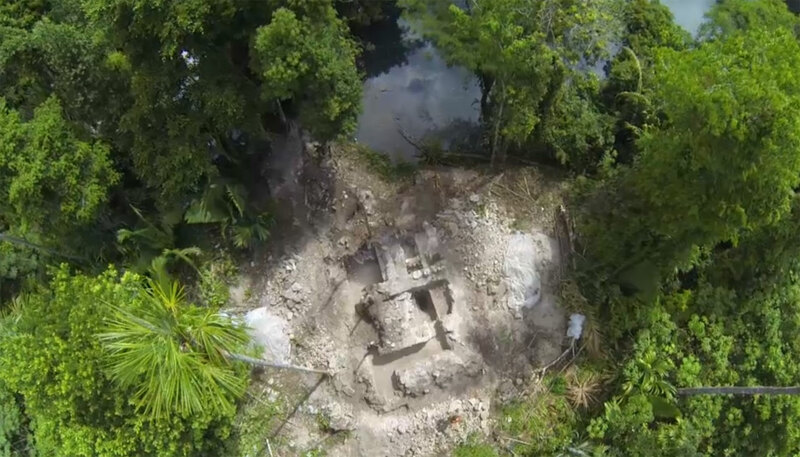 “The research makes clear that the ancient Maya were not passive victims of climate change — they adapted in response to drought, but it only worked up to a point,” Douglas said. Researchers found that markers of historic droughts in Central America match the patterns of disruption to Maya society during centuries of hardship. The new information provides answers to longstanding questions about the role climate change played in Maya cultural collapse between 800 and 950 A.D., but it also highlights the importance of taking a long-term perspective in adapting to future climate change, especially considering predictions of very severe climate impacts in the latter part of this century and beyond, as Douglas pointed out. “Our work demonstrates that the southern Maya lowlands experienced a more severe drought compared to the north,” said Mark Pagani, a Yale University professor of geology and geophysics and co-author of the study, published April 20 in the Proceedings of the National Academy of Sciences. Indeed, evidence of Maya resilience and efforts to adapt to climate change also emerged in the research. The team argues that a change in maize production during an earlier period of drought allowed populations to continue to grow. The dominant agricultural technique shifted from swidden — a method of clearing land by slashing and burning — to a more intensive and concentrated system of crop production.